This cardigan is fast becoming a firm favourite, I’ve had quite a few orders for it, you can read about it here and here. 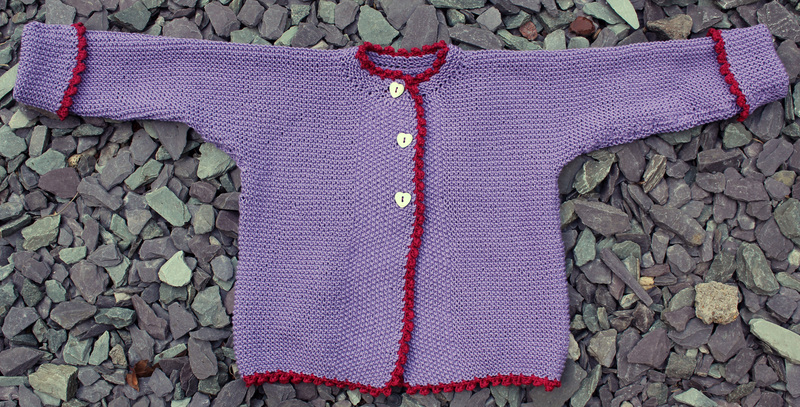 But this is the first one I’ve knitted with cotton yarn, DROPS Safran to be precise. 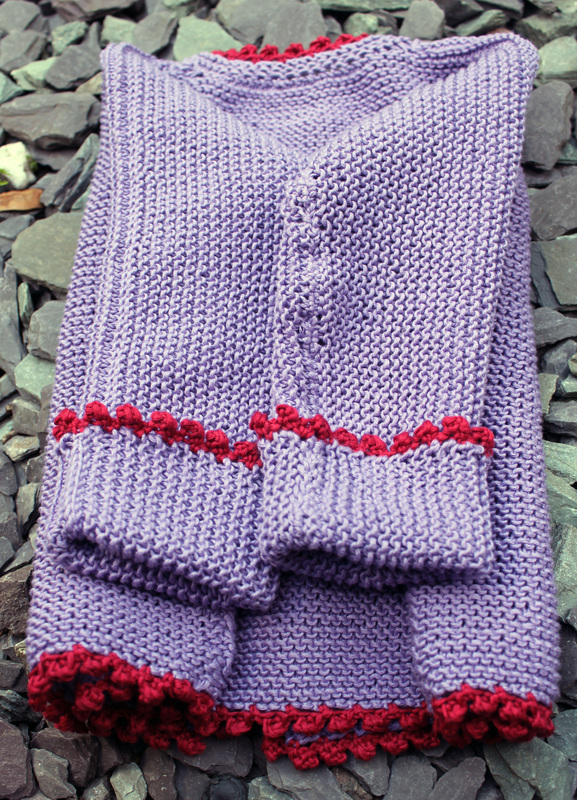 I really do love this pattern, it’s so easy to knit as it’s garter stitch all the way with 14 stitches of moss stitch on each side for the front bands. I do always seem to forget the button holes and again when I was knitting this. So I just had to go back a few lines and then knit it up again with the button holes included this time. 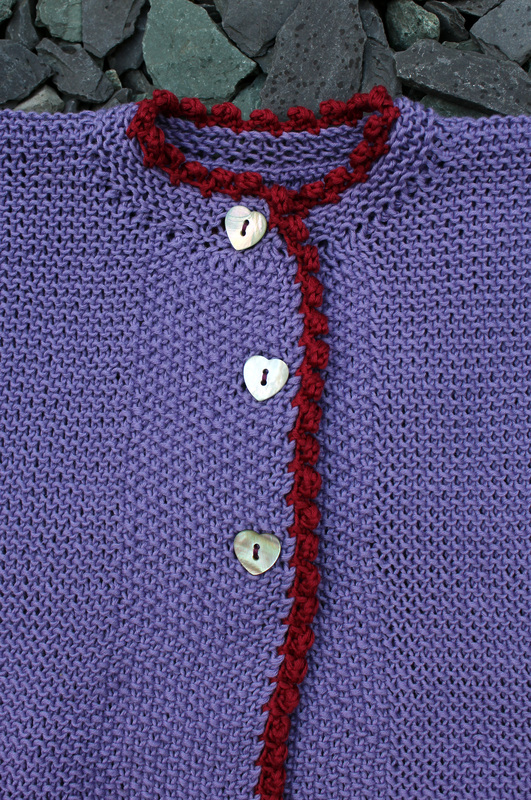 And the buttons are curtesy of Textilegarden. I love them and I’ve just ordered a whole new lot, you’ll see them tomorrow in my seven little moments post. 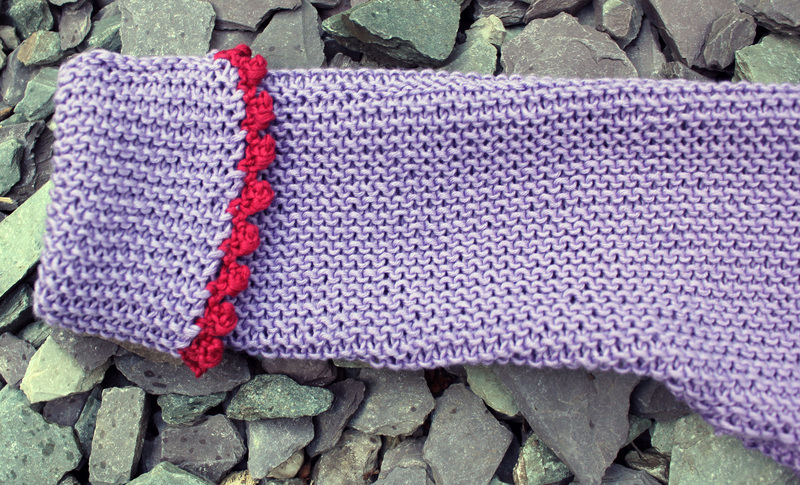 And of course you can see that I added a nice crochet border, with a lovely contrasting deep red/purple. I’m going to call it plum? So, we’ll see if and when I get another order for this same cardigan. 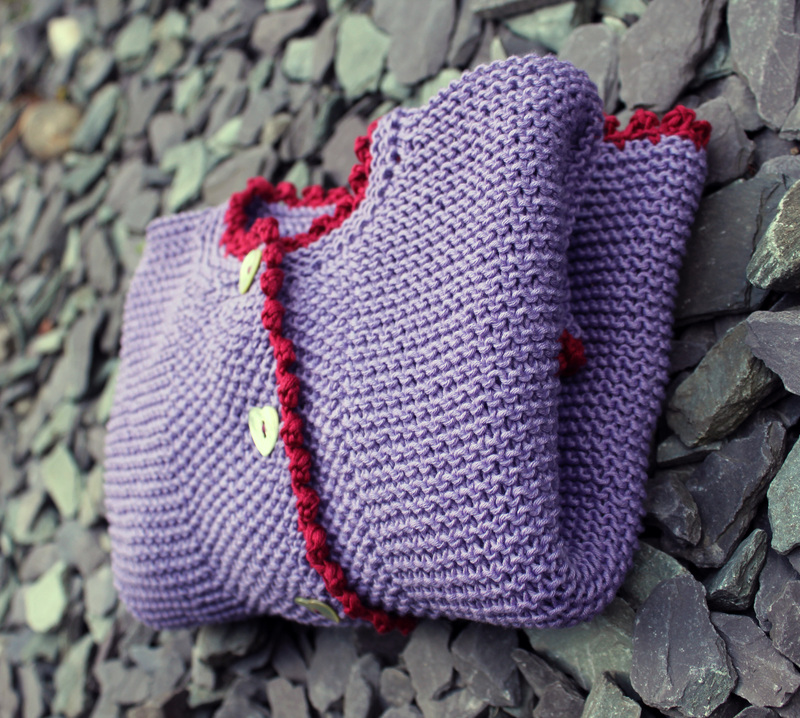 This entry was posted on June 10, 2012 at 8:17 pm and is filed under Baby, Knitting with tags baby girl, bolero, cardigan, girl, girly cardigan, jacket, warm. You can follow any responses to this entry through the RSS 2.0 feed. You can leave a response, or trackback from your own site. Love the colour of this and the pattern, it looks so nice. Love the heart shaped buttons. Some little girl is going to look gorgeous in this. love the contrasting color trim! This is so precious! It looks beautiful. I can see why you have been getting so many orders for it. The color combo is perfect. I can see why it is a favorite!